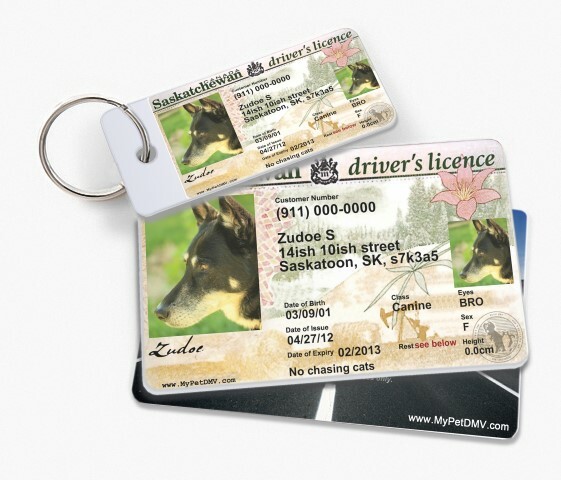 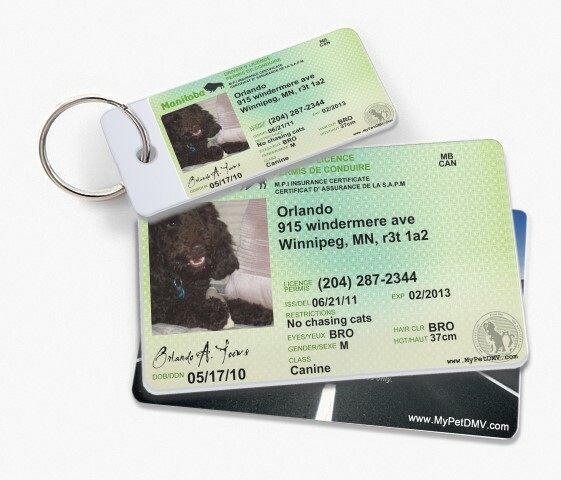 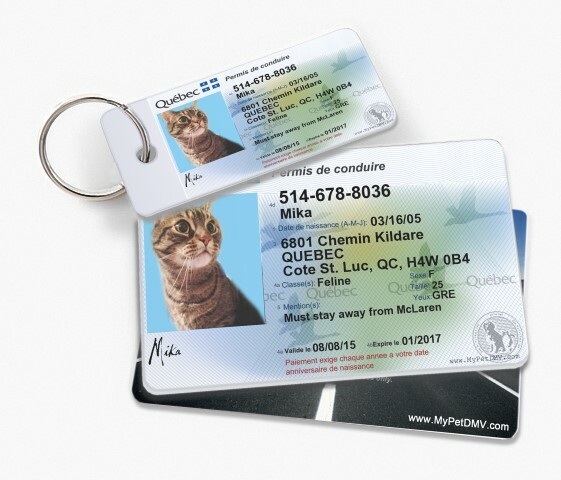 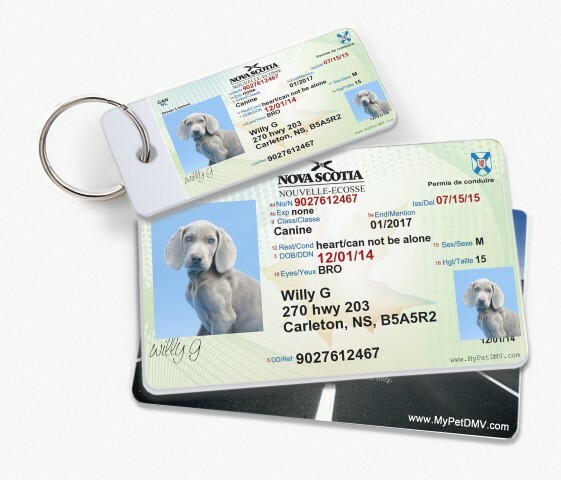 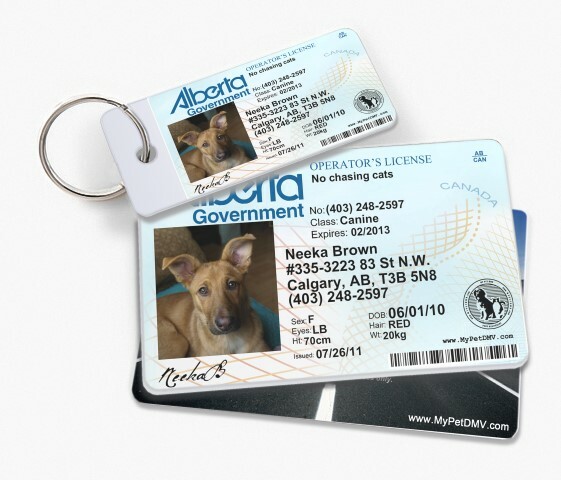 Each Pet ID License comes with (1) large wallet sized Pet ID Tag that looks similar to an actual Driver’s License and (3) smaller versions for $19.95. 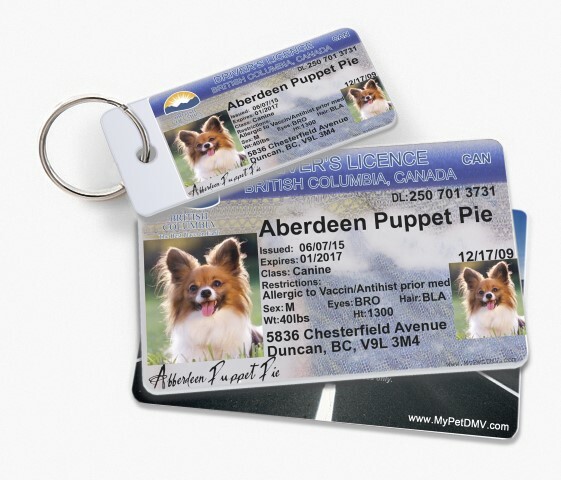 We provide FREE SHIPPING on ALL ORDERS. 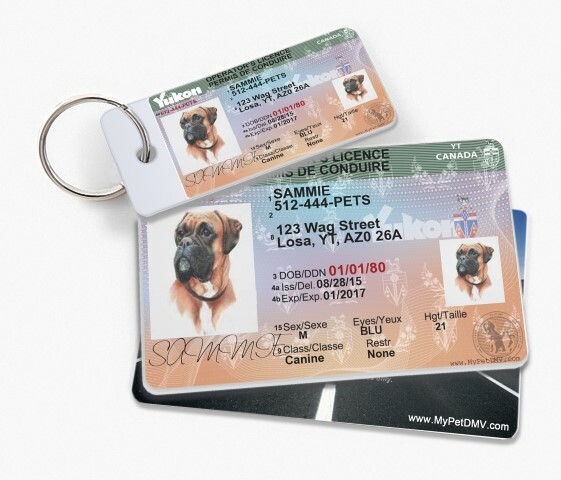 Our Pet IDs and Dog Collar tags can be put on your keychain, on your Pet’s collar, or keep as a spare Pet ID in your wallet. 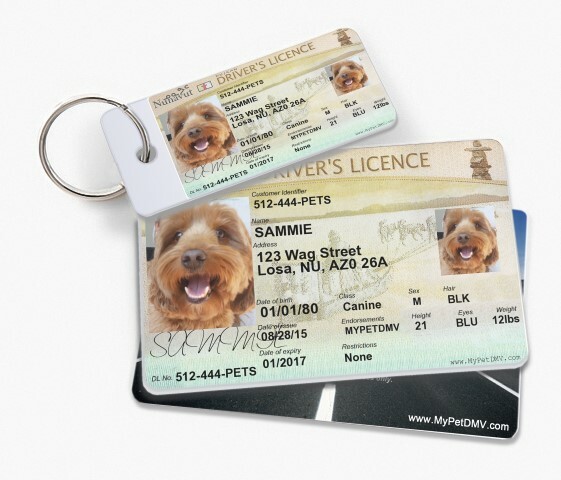 Design online in under 5 minutes, order prints in 24 hours. 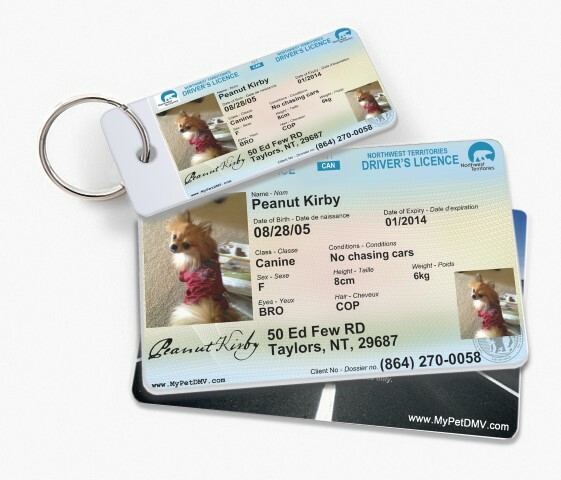 All across the nation pets and their owners are rushing to MyPetDMV.com to get their personalized Pet ID License Tag!